On Saturday, August 16, 2014, at 5:09 a.m., an officer attempted to stop a silver Nissan the area of Elms Rd. and Ft. Hood St. for a traffic violation. The driver of the Nissan fled from the officer, westbound onto Stan Schlueter Loop and a pursuit ensued. The officer pursued the suspect through several neighborhoods west of the area. The suspect came to a stop at the dead end of Palmtree and Coral Bay. When the officer exited his vehicle; the suspect began fleeing again, striking the officer with the vehicle. Shots were fired by the officer and the vehicle fled west on Coral Bay. When the vehicle stopped the suspect got out and fled on foot. Officers continued to search the area and the K-9 Unit was deployed. The suspect was located by a K-9, hiding behind an air conditioning unit at the 3600 block of Coral Bay, at 6:11 a.m.; the suspect was transported to the Carl R. Darnall Army Medical Center for treatment for a gunshot wound. He was subsequently airlifted to Scott and White Memorial Hospital where he is listed in stable condition. The name of the suspect is withheld pending criminal charges. The injured officer and was transported to Scott and White Memorial Hospital for treatment and has been released. The officer involved in the shooting has been placed on administrative leave, as is protocol, and his name has been withheld at this time. Killeen Police and surrounding agencies involved in afternoon pursuit for a wanted man. Officers with the Killeen Police Department attempted to stop a red 1995 Ford Thunderbird that was driven by a wanted 53 year old Killeen man. The officers stopped the vehicle on the eastbound Hwy 190 overpass at Stan Schlueter at 12:49pm, as the officer approached the vehicle the driver sped off eastbound into Harker Heights and a pursuit ensued. The suspect fled from the officers at a high rate of speed throughout Harker Heights, Nolanville, Bell County, Belton and Temple. 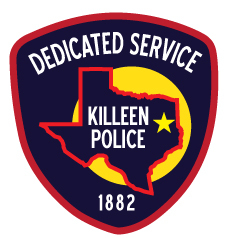 Officers with each department assisted the Killeen Police Department at different times during the pursuit. A Department of Public Safety Trooper was in the area of Simmons Rd. when he entered the pursuit at 1:10pm. He remained with the Killeen Police Department as the suspect continued to evade officers. The trooper became the lead officer in the pursuit as it continued through Belton and into Temple. This pursuit continued northbound on FM 317 then westbound onto Hwy 36 entering Coryell County; the suspect was traveling at approximately 100 mph. The driver had been handled by officers in the past and he was known to be armed and have narcotics with him. He began making furtive movements and officers had reason to believe he had a gun inside the vehicle; the trooper shot out a rear tire on the vehicle as they were traveling on Hwy 36 however the suspect failed stop. The suspect again made suspicious movements when he turned southbound onto Hwy 184 and then onto East Range Rd. Two more shots were fired by the DPS trooper hitting the other rear tire and the trunk of the vehicle; the suspect came to a stop a short distance later. The trooper took care to make sure the area was clear and no one was in harm’s way when the shots were fired. The suspect was taken into custody at 1:42pm and later transported to Metroplex Hospital by ambulance with non life threatening injuries. Officers recovered three guns and narcotics inside the vehicle. The suspect had outstanding warrants out of Bell County for narcotic related offenses and a warrant out of Travis County. His name will not be released at this time until formal charges are returned regarding this incident. Officers involved in this incident with the Killeen, Harker Heights, Nolanville, Belton and Temple Police Departments, Department of Public Safety, Bell County Sheriff’s Department, Texas Parks and Wildlife Department, Coryell County Sheriff’s Office, Fort Hood Provost Marshalls Office, and the U.S. Marshall’s Office, worked together safely to have this pursuit come to a safe conclusion.